In the summer time my family enjoys quick and easy meals that use lots of seasonal produce! 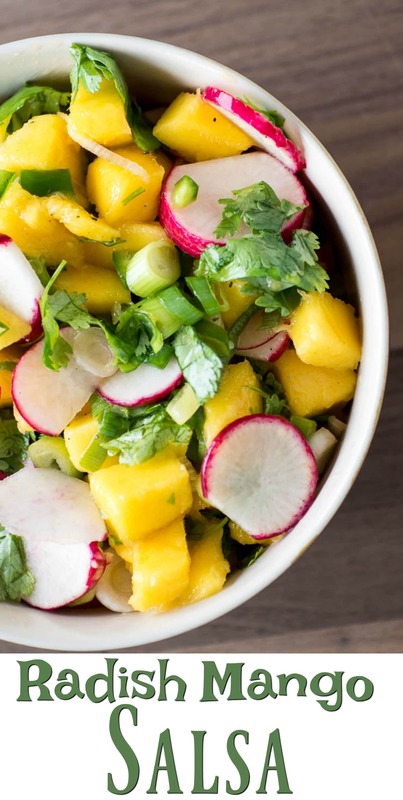 This recipe for Radish Mango Salsa is a perfect fresh accompaniment to a summer meal. 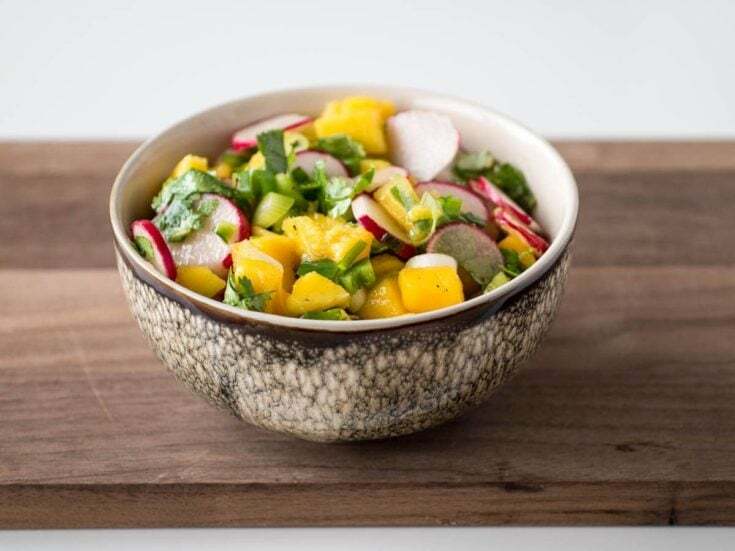 The crisp and spicy taste of the radishes combines with the sweet mangoes to create an excellent combination of sweet and spicy. I added a little bit of jalapeno pepper to spice the salsa up even more, because my radishes weren’t super spicy! 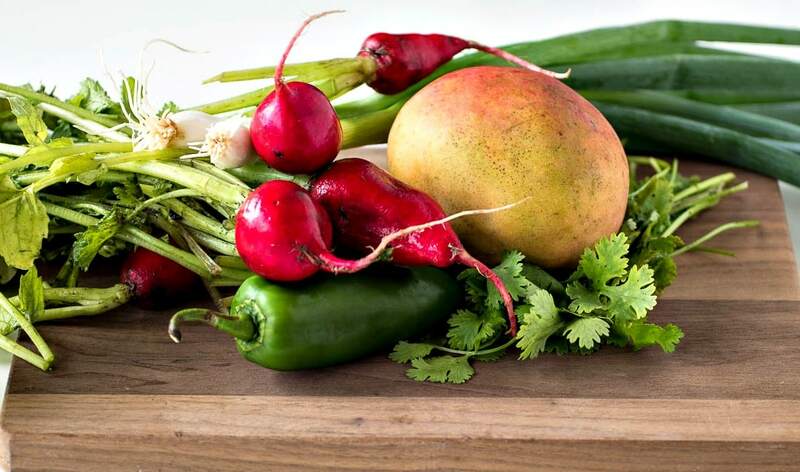 The lime juice adds a tartness to the fruit salsa and makes all the flavors blend together. 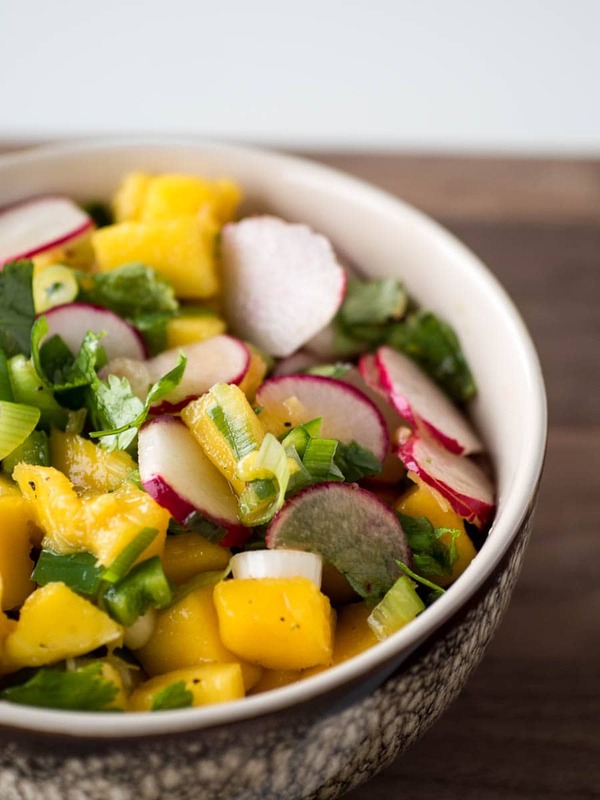 The Radish Mango Salsa would taste great with grilled seafood or on quesadillas. It is also good just on chips, and this morning I used the last of it on my eggs for breakfast! It makes a nice change from a tomato salsa, so try it and let me know what you think! 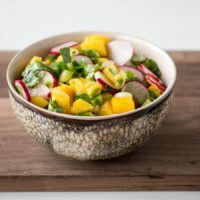 Easy recipe for Radish Mango Salsa - this simple fruit salsa is perfect for fish, shrimp, quesadillas or other summer dishes. Slice the radishes and scallions thinly. Chop the jalapeno pepper and combine all the vegetables in a bowl and toss. Drizzle with the lime juice and add the cilantro and a little salt and pepper right before serving. This looks really good. 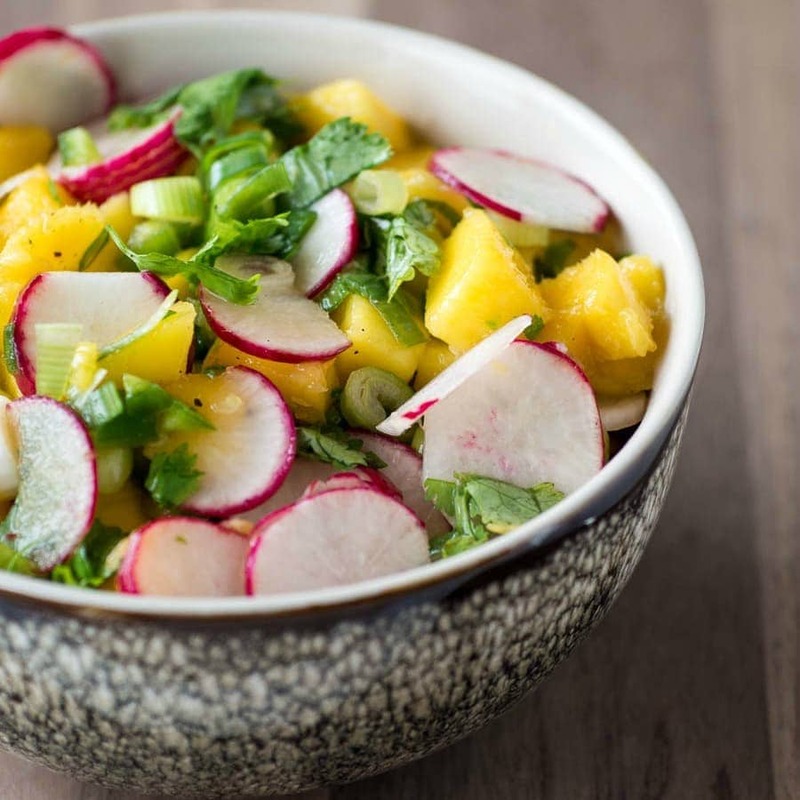 I never thought I can combine radishes and sweet mangoes together. Will definitely try it out. I am looking forward to pairing it with grilled salmon or tuna. Radishes are something I always forget exist. This looks amazing. I may have to try it and see if its a hit with my family.